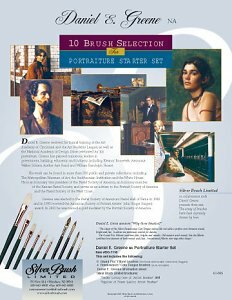 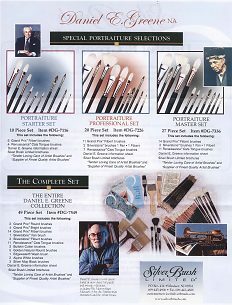 Silver Brush Limited has created three sets of brushes to the specifications of Daniel Greene. 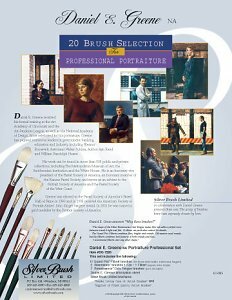 They are specifically selected and designed to meet the needs of portrait painters as well as experienced artists seeking to complete their brush collection with the finest. 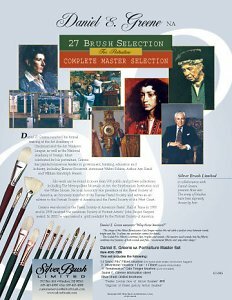 All sets are 25% off retail. 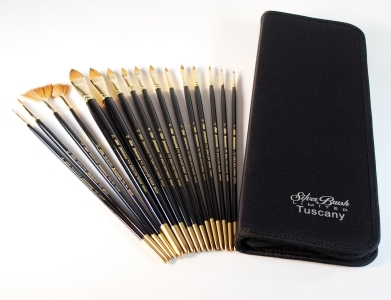 or Email Us for final shipping & handling charges.